Saturday & Sunday from 10:00a to 3:00p, Santa Claus will be coming to the Lafayette Jockey Lot! 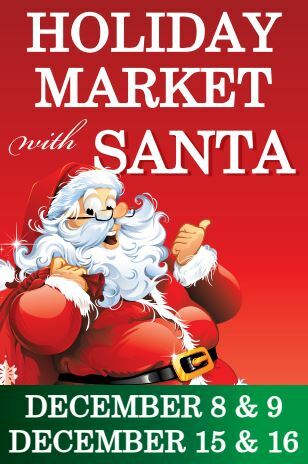 This weekend get to Lafayette Jockey Lot Flea Market to see Santa Claus and shop for holiday gifts and bargains. Bring your camera and create magical memories when you take your FREE photo with Santa. Jockey Lot Flea Market will celebrate Christmas with fun for the whole family! Come enjoy holiday cheer with free Hot Cocoa & Cookies, free photos with Santa, along with bargains at over 100 of our friendly dealers. So come browse, shop and play starting this Saturday, December 8th, at Jockey Lot Flea Market, where you’ll find a sleigh full of savings.